Sunday Smack: Is Steve Bannon the Frantz Fanon of White People? “The Strange Persistence of Guilt” piece by New York Times writer David Brooks — where he equates President Donald Trump’s chief strategist and Alt-Right icon Steve Bannon with Martiniquan psychologist, writer, philosopher and radical Frantz Fanon — is the inspiration for today’s Sunday Smack. … America’s heartland populists see themselves as the victims of the oppressive coastal elites. Steve Bannon is the Frantz Fanon of the whites. There’s almost no argument that America’s heartland has also suffered during the past four decades of growing income inequality. And Bannon is arguably the intellectual voice for many working class Whites. But others would argue that the historical backdrop for Bannon and Fanon are highly dissimilar. 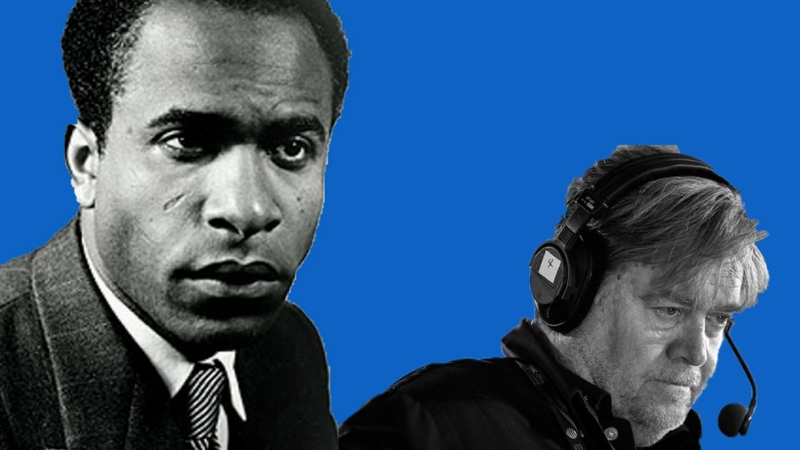 Is Steve Bannon the Frantz Fanon of White people? This entry was posted in Uncategorized and tagged david brooks, frantz fanon, new york times, steve bannon, sunday smack. Bookmark the permalink.